When it works, controlling your TV with Amazon’s Alexa digital assistant can feel like magic. Using voice commands avoids thumbing through menus and can get to what you want to watch much faster. But using Alexa as your TV remote requires a bit of know-how. Alexa won’t understand everything you might want to do, and controlling your actual television and sound system requires specific equipment. 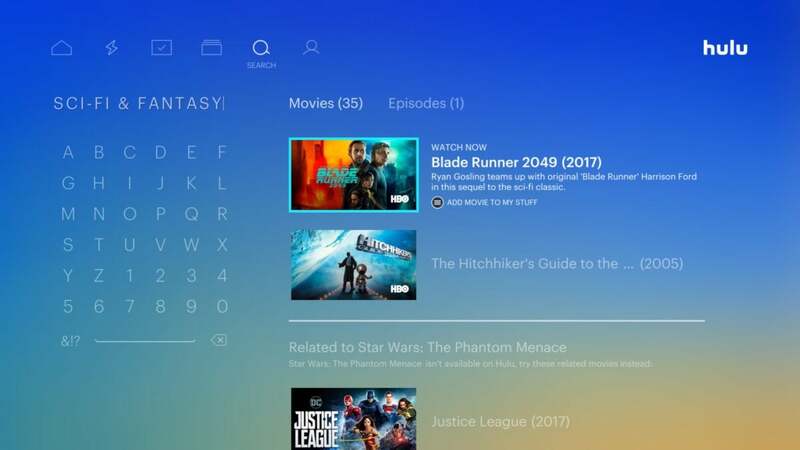 To avoid potential frustration, we’ll go through what you can and can’t do with Alexa on Fire TV and other television devices, and explain how to set it all up. With the exception of the first-generation Fire TV Stick, all Fire TV devices include an Alexa remote, which lets you issue voice commands by holding the microphone button at the top. 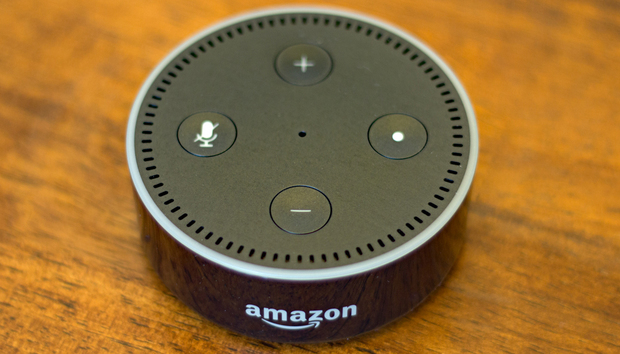 But for hands-free voice commands, you’ll need either a separate Alexa device (one Amazon’s Echo speakers or something with Alexa onboard, such as the Sonos Beam soundbar) or a Fire TV Cube, which has built-in microphones for picking up voice commands. Open the Alexa app on your phone, hit the menu button in the top-left corner, and select Music, Video, and Books. Select Fire TV from the “video” section. If you have more than one Alexa device, choose which one should control the television. Head to the Alexa mobile app if you want to set up multiple Fire TV devices. You’re now ready to start using voice commands with your Fire TV, but keep in mind that Alexa doesn’t work with every app. Beyond Amazon’s own Prime Video service, the apps that Alexa currently supports include Netflix, Hulu, Fox Now, NBC, NBC News, Bravo Now, CBS, Sony Crackle, Freeform, Showtime, Showtime Anytime, STARZ Play, ESPN, and PlayStation Vue. You can’t scroll through search results by voice in apps like Hulu, but if you see something in the results you like, you can ask Alexa to play it. Unlike other Fire TV devices, the Cube is optimized for controlling your TV with Alexa. When you search for videos with hands-free commands, you’ll see a special results page with numbers that correspond to each result. Say “Alexa, pick [item number]” to select a result, or “Alexa, show more” to scroll through the list. 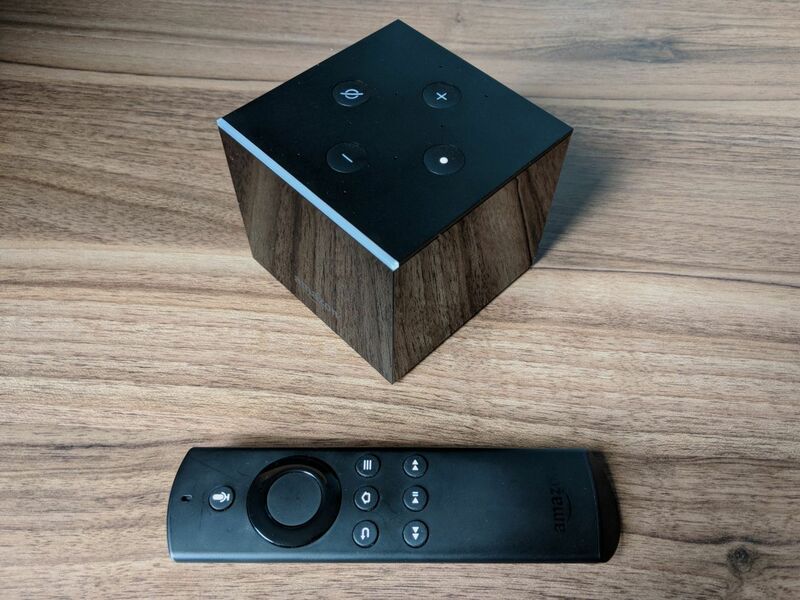 The Fire TV Cube can also act like a giant Echo Show, providing cover art when you ask for music, and displaying supplemental information for general queries, such as weather reports and sports scores. The Fire TV Cube adds more voice controls through its built-in IR blaster. Unfortunately for cord-cutters, Alexa can’t switch to live channels from an antenna. At best, you can switch to the antenna input, then reach for the TV remote if you need to change channels. 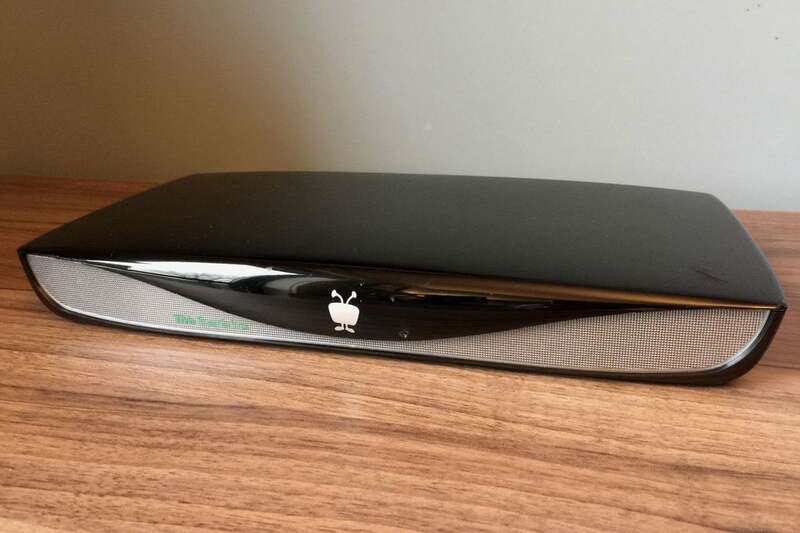 Some set-top boxes, such as the TiVo Roamio shown here, can be controlled with Alexa voice commands. TiVo: Supports playback controls (pause, fast forward, rewind); tuning to live channels; opening the guide, home, or settings pages; and launching specific apps. You can also bypass commercials on Skip Mode-enabled shows by saying “Alexa, skip” or “Alexa, next.” Alexa currently works with the TiVo Bolt, Roamio, Premiere, and Mini series. Verizon Fios: Supports playback controls, tuning to live channels, and searching for show titles, movie titles, or actors. This currently works with VMS 1100 and IPC 1100 set-top boxes. Frontier: Supports playback controls, tuning to live channels, and searching for show titles, movie titles, or actors. This currently works with VMS1100 (Quantum DVR), IPC1100, and IPC815W set-top boxes. Dish Network: Supports playback controls, tuning to live channels, and searching for show titles, movie titles, or actors. You can also say “Alexa, go to my DVR” to view recordings and “Alexa, record this” to begin a recording. This currently works with Hopper 3, Hopper with Sling, Hopper Duo, Hopper, Joey Receivers, and Wally. DirecTV: Supports playback controls, tuning to live channels, and searching for show titles, movie titles, or actors. You can also say “Alexa, record this” or “Alexa, record TNT” to begin a new recording. This currently works with Genie (HR44 and HR54) and Genie Mini (C31, C41, C41W, C51, C61, C61K, and C61W). HS17 users can’t control that device with Alexa, but they can control any associated Genie boxes. Optic Hub: Supports playback controls, tuning to live channels, and searching for programs. To connect your TV box, open the Alexa app, hit the menu button in the top-left corner, select Music, Video, & Books, and then choose your provider from the list. Select “Enable skill,” and follow the on-screen instructions. For playback controls, you might need to add the name of the service (“Alexa, play on TiVo” or “Alexa, pause DirecTV”) for voice commands to register when you first sit down to watch TV. After doing this once, you shouldn’t have to do it again for at least an hour. Certain televisions have their own built-in Alexa support, letting you control volume, power, and inputs using voice commands, even without a Fire TV. Even though Sony's awesome OLED—the XBR-65A1E—is an Android TV, you can still control it using Alexa voice commands. As of July 2017, Alexa works with certain 2016 and 2017 Sony TVs, 2018 LG TVs with “AI ThinQ” capabilities, Vizio SmartCast TVs (all 2017 models, and 4K 2016 models), select Hisense TVs, and select Sharp TVs. Keep in mind that for these features to work, your smart TV must be connected to the internet. 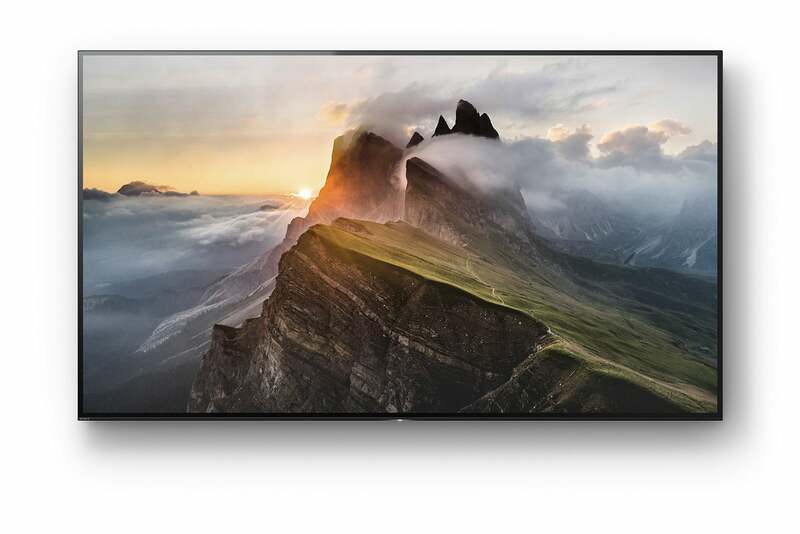 And with Vizio TVs, you must enable Quick Start instead of Eco Mode for the TV to turn on with voice commands. Alexa can also control the volume on select A/V receivers. Head to the Alexa skill page for Yamaha or HEOS (for Denon and Marantz systems) for instructions. For other TVs and speakers, you can add Alexa controls with a Logitech Harmony Hub. The hub receives instructions from Alexa, then relays them to your TV or A/V system through its built-in infrared blaster. Head to Logitech’s Harmony website for detailed instructions on setting this up. Although Alexa can’t fully stand in for a standard remote today, it should get smarter and add more device support over time. Check back here for updates as Alexa’s remote control skills progress.